It's Friday! 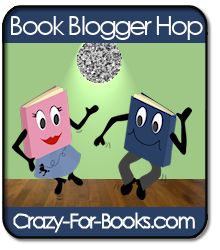 Ready or not, it's time for another Book Blogger Hop, August 27 - August 30, hosted by Jennifer from Crazy-for-Books. This weekly BOOK PARTY is an opportunity for book bloggers to connect with other book lovers, support each other, and discover new book blogs. Most importantly, it's lots of fun! This week's question from Books are a Girl's Best Friend is a good one: Do you use a rating system for your reviews and if so, what is it and why? I do not use a rating system for several reasons. The main reason is because ratings seem too subjective. I know that ratings can help others decide about books, and I do rate books for my reviews on Amazon, because it's a requirement for submitting them, but I don't rate books on my blog because it seems like that would be a too subjective and arbitrary practice. Instead, I discuss books in my reviews, and ask readers to make up their own minds. Just a few days ago, I learned that I won Free to a Good Home by Eve Marie Mont on Anna's blog, Diary of an Eccentric. Anna reviewed the book, which she calls "a great end-of-summer read", and also presents a guest post by the author, so stop by Diary of an Eccentric when you have a few moments to spare. Since Penguin sent me two copies of this newly released novel, I am giving the extra copy away! Enter by 5 PM PDT on Monday, September 13 (U.S./Canada only). One winner will be selected randomly and announced on Tuesday, September 14. Good luck, and thanks for reading! I would love to win this book, it sounds like my kind of reading. iowagramma.ann@gmail.com I don't know was I to leave my email address? I very seldom review books on my blog. However, I do keep a book journal about the books I read for my own personal information, and I do rate them in it. Gramma Ann, thanks for stopping by! You ask a good question about the necessity of leaving your email address. If your email address is on your blog or in your profile, then you don't need to leave it. What's important is that I am able to contact the winner. I would love a chance to be entered to read this book, thanks! Thanks for stopping by my blog! I find it so interesting that you don't use a rating system because you find it subjective, because that is actually why I use one. Everything about how I felt about a particular book is subjective, and based on my interpretation. I've just found a word that is able to sum up that general feeling... ish. I don't use the rating system either. I just write how I see it, but as diplomatically as possible. One doesn't have to be "snarky" to write an honest review. Nice stopping by your blog! I love the cover on this book, and I'd love a chance to read it! Boo-hoo, unable to enter this giveaway I'll just have to add it to my wish list. I've addded it to my comp/giveaway page though so good luck to all who enter. I have always followed your blog on my google reader. Well, I can't enter the giveaway but so what? This book looks fantastic! Please enter me. I'm a follower too. Hi, and thanks for stopping by my blog. I see you're reading Outlander. This is one of my all time favorite books. Jamie Fraser is the ultimate hero. Love him! I would love to read this book. I have entered contests for it before but never won. I am hoping that I'll have better luck this time. To rate or not to rate? That is the question. Seems we all think about this, and it's really an interesting topic for discussion. Thank you all for the terrific comments. I decided not to make this book giveaway international, but some of my future giveaways will be, though, so stay tuned. Petty, thank you so much for posting this on your blog--that was very kind of you! More comments welcomed of course. Happy Hopping, Everyone....hop on over to my blog to see my answer to the rating question. Hi Suko. Please enter me. I'm a new follower too. please enter me in the contest - this sounds like something i'd like to read! thank you! I rate books for myself, but not on my reviews. Of course, I do rate them on Amazon and Library Thing, but that's about it. Hope you had a very good weekend, Suko! I don't use a rating system on my blog either. I use them on other sites and sometime when I look back at them, I wonder what in the world I was thinking. I am a google friend follower. Please enter me. I love books about precious animals and pets. Would love to win this! Thanks for the chance. I'm a GFC follower as well. Thanks! I would love the chance to read this book. It sounds like a great story.